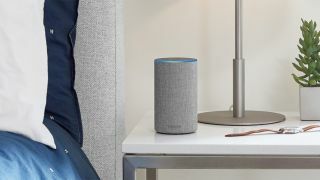 Amazon just made it a little harder for someone else to hijack your Echo – the Alexa voice assistant can now recognize individual voices and personalize its response, so you and the rest of your family can use your smart speakers without any overlap. You can set up voice recognition on an Amazon Echo, Echo Dot, or Echo Show by reading aloud 10 phrases to create a voice profile (there's a tutorial video here). Alexa will then be able to identify you across any Echo device and 'most' third-party devices with Alexa attached, Amazon says. While Alexa has been able to handle multiple accounts before, you had to switch between them using the Alexa app. The new upgrade brings the Echos and other Alexa devices up to speed with the Google Home family, which added multi-user voice recognition in April. Using your newly acquired voice powers you can send messages, make calls, buy stuff from Amazon without a confirmation code, play a personalized Flash briefing and access an Amazon Music Unlimited Family plan. This is another great example of how the various smart devices invading our homes are now able to add extra functionality with no hardware upgrade required. The new functionality should be rolling out from today, so if you've not got it yet, try updating the Alexa app on your phone. Features like voice recognition will become increasingly important as the smart speaker space gets more crowded. Apple's HomePod speaker is coming out in December, and Sonos just unveiled the Sonos One, an intelligent speaker of its own with Alexa on board.